Samsung has announced that it will start to take pre-orders on its new foldable smartphone, the Samsung Galaxy Fold from today. The company also revealed that the Galaxy S10 5G will also be launching in the US shortly, they have not give a date but we are expecting it to land on the 16th of May. The Galaxy Fold is a true first-of-its-kind — a tablet-like experience when you want it, and, a compact smartphone when you need it. Hold the Galaxy Fold in one hand and scroll through your Gallery. For a closer look, open the device to reveal the photo on a stunning 7.3” main display. The content can move from the cover display to the main display, seamlessly switching to fill the screen, so you can pick up right where you left off. 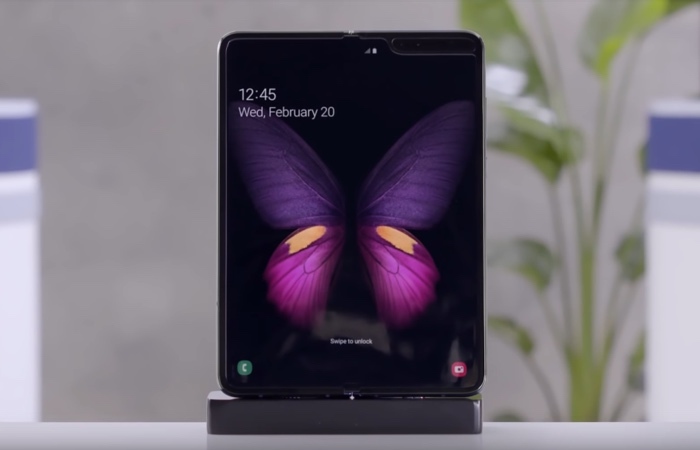 The video below gives us a look at the design and some of the features on the new Samsung Galaxy Fold smartphone. The handset launching in the US on the 26th of April and pre-order start today, you can find out more details at the link below.